A2B is about engaging with children and young people on their journey through life – it’s about helping them get from A-2-B. A2B is not a program, but rather a framework for engaging with children and young people. A2B focuses on the processes of intentional presence, pastoral conversations and engaging group work. The framework encourages transformative collective action. 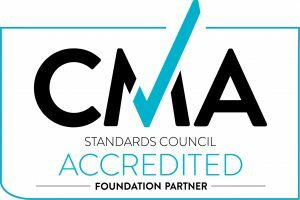 A2B training and resources are for children’s and youth workers who desire to be a positive influence on the life journeys of young people. A2B is about personal growth and realising potential within relationship. It is characterized by fun, engagement and respect. A2B encourages questions, doubts, discussion and reflection. 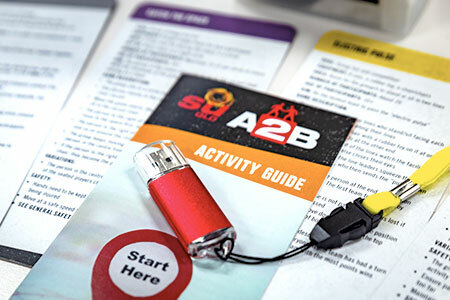 The A2B card pack is resource that provides a selection of games and activities. When used within the A2B framework, each of these activities can become catalysts for connection, growth and transformation. It contains 100 different games and activities in six different categories. These activities can be used in multiple settings in the life of a youth or children’s worker: lunchtime programs, camps, classrooms, assemblies, or even staff development. The A2B 8 Week Program does some of the thinking for you; demonstrating how you could use the Activity Cards with a group. There are videos that outline each session and how to run the activities with participants. Both of these resources are available on a USB as part of the Full Kit. Take home a range of A2B resources, including an activity starter pack, the initial eight-week A2B program, A2B Survival Kit, and a training DVD. 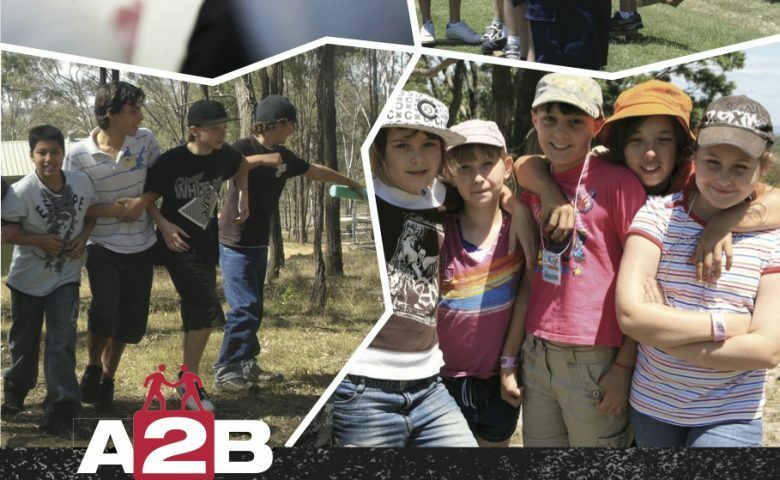 A2B Plus provides eight weekly in-school learning exercises, including peak experiences for 12 students. The program is designed to challenge students to achieve and grow in an alternate learning environment. These experiences will help each participant develop skills in personal leadership, group dynamics, resilience, overcoming adversity, social awareness and management, whilst learning to work together to accomplish physically and mentally challenging activities. A2B Plus is a great opportunity to help students who are considered at-risk, and is an effective leadership development tool for students within your school communities. A2B Plus is designed to work in conjunction with your school chaplain to train, build confidence, and stretch the limits of each student physically, mentally, emotionally, and spiritually in a safe, healthy, and supportive environment.